Who Sinned? The Child Born Gay or the Man Born Blind? The Child Born Gay or the Man Born Blind? Who sinned? This man or his parents? Who sinned the man born blind or the child born gay? Two discoveries this week caught me by surprise. First I discovered that Phillips Brooks and Helen Keller had a correspondence with one another about some of the deepest parts of their souls. Both held within them things they wish they could have shared to the wider world more openly than was possible for them. The fact that Helen Keller was blind and unable to communicate without considerable effort impressed Brooks. In one of her letters, she told the great preacher that she knew of God's love for her even before she learned the word for God. Phillips Brooks was deeply moved and thrilled to learn this. Few know now and fewer then that the great preacher from Copley Square was gay. Who sinned? This young woman who was blind perhaps not from birth but shortly thereafter? Or that fine preacher, born the way he was? Secondly, I was stunned to learn yesterday that the Church of England will end its resistance to gay marriage. 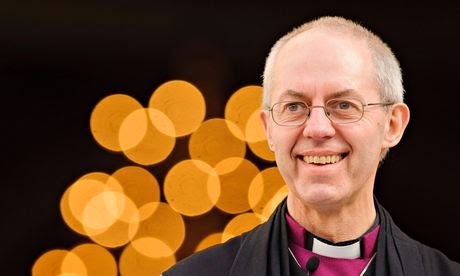 On the same day as its legalization in Britain the Archbishop of Canterbury said; “I think the church has reacted by fully accepting that it's the law, and should react on Saturday (March 29, 2014) by continuing to demonstrate in word and action, the love of Christ for every human being." For many centuries and still in many places those born gay are considered born in utter sin. So too the blind man was considered the same. In the Ancient Near Eastern World, the idea of suffering, flaw or disability involved sin. It is as if responsibility for suffering was an ethical fault on the part of the one who suffers, and often that suffering is passed on from one generation to another. Similar thoughts come to us even now, when parents often blame themselves for their children's failures and disappointments. “Oh where did we go wrong?” You can imagine how the parents of many gay children feel. Notice, however, that in the case of the man born blind, Jesus reverses direction. Neither the child nor the child’s parents are to blame. Instead, Jesus takes a different tack; "Let’s look at what God can do with the situation to salvage what we can of the life that is left." Jesus can redeem all our days. Obviously in the story of this miracle there is more than one kind of blindness. The physical blindness is in point of fact the easier blindness to cure and deal with. All that it took was for Jesus to spit on the ground and make a little cake of mud and rub it on the man’s eyes. Vivid images aren’t they! In the Ancient Near Eastern World, saliva was thought to have restorative and healing properties. After all, even a dog knows how to lick his sores. Jesus said; "Go, wash in the pool of Siloam" (which means Sent) Notice the pool is named “sent”, sent like Jesus was sent into the world to be the Light of the world. 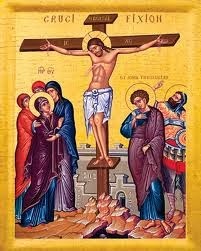 So too Jesus sends the blind man to the pool of Siloam, “sent”, to be “sent” and be cured, and receive his sight. So they brought the man to the Pharisees; the biblical literalists and fundamentalists of the day. 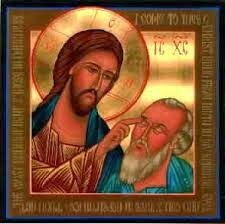 After all, the man Jesus, healed the blind man on the Sabbath; horrors! And that’s when the interrogation begins. Tell us again what happened. Like an episode of an old Law and Order rerun, let’s go over the story one more time. “The man put mud in my eyes and told me to go and wash”. And so there was a division and a controversy. They went back to the man and asked him what he thought of Jesus. That just added fuel to the fire. So now, they summon the man’s parents to meet with the fundamentalist and biblical literalists. How could he have been born blind they reasoned with themselves? But they were terrified about being ostracized by the townspeople, which they most surely would have been, had they been put out of the synagogue. 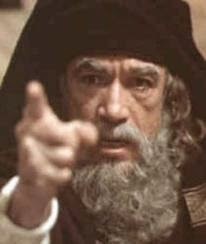 Anyone who confessed that Jesus was the Messiah would have been rejected from the fellowship of the synagogue. So here we go with another interrogation. The man born blind says; “I don’t know if this man is a sinner. But one thing I do know is that I was blind and now I see”. They said to him, "What did he do to you? How did he open your eyes?" He answered them, "I have told you already, and you would not listen. Why do you want to hear it again? Do you also want to become his disciples?" "Here is an astonishing thing! You do not know where he comes from, and yet he opened my eyes. We know that God does not listen to sinners, but he does listen to one who worships him and obeys his will. Never since the world began has it been heard that anyone opened the eyes of a person born blind. If this man were not from God, he could do nothing." "You were born entirely in sins, and are you trying to teach us? And with that they drove him out of the synagogue. Jesus heard that he had been driven out and as Jesus was wont to do, he found the outcast man in order to embrace him with the love of God. "Do you believe in the Son of Man?" He answered, "And who is he, sir? Tell me, so that I may believe in him." Jesus said to him, "You have seen him, and the one speaking with you is he." He said, "Lord, I believe." And he worshiped him. Jesus said, "I came into this world for judgment so that those who do not see may see, and those who do see may become blind." And in an exquisitely interesting play on words Jesus concludes the Gospel with; "You say 'We see' and your sin remains." Note if you will that Jesus obviously uses the word “sin” here not as a way of explaining the blindness and suffering of the man born blind or in assigning blame on him or his parents. Jesus uses the word “sin” as a way to talk about how we treat one another, not as how to account for the conditions we are born with. Obviously the the sin in this passage involves a literalist interpretation of the scriptures, and results in expelling a blind man cured at the hands of Jesus and for the praise of God. So I had a gay uncle and have two gay kids? Who sinned? My uncle? My kids? Or Cindy and me? Whom shall we exclude? Shall we exclude them? Maybe us? Who do we drive out of the synagogue, the church, the mosque? For many, many years we distanced ourselves from those who differed most from ourselves. Members of the LGBT community could not express their love for one another in a marriage relationship like heterosexual folks could. In the case of my uncle, he had the only stable relationship in the family. It lasted over 50 years. My mother on the other hand, well, let's just say she was a little frisky. 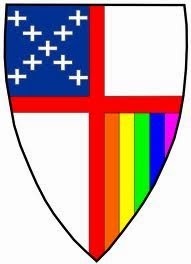 And when we had the temerity to consecrate Gene Robinson bishop of New Hampshire, we lost whole congregations, whole dioceses; people who could not embrace the idea that there are those born blind and those born gay. And there is no sin in either. We are all born the way we are. And Jesus finds a way to embrace us all no matter what condition we are born into. For embracing the teachings of Jesus, namely that there will be no outcasts in this church, that there will be no barriers to membership or to ministry in this church, many walked. But many, many more stayed and we go on. So who sinned? Thankfully Jesus reframes the question. How shall we treat one another now? Who is blind? Who sees now? Who has the right to exclude one of God’s children? Who has the courage to embrace those born blind, those born black or white, those born into poverty or wealth, those born male or female, and now those born straight, those born gay? When it came time to anoint a new king for Israel, we learned that God sees what we are often blinded from seeing. Surprise, it was God’s choice that the shepherd boy would be God’s chosen. God looks way beneath the surface and deeply into the human heart. Alas there are those still blind as bats and unable to see. And that's where the sin remains, because they cannot see the love of God made flesh and blood in Jesus. I remember like it was yesterday. 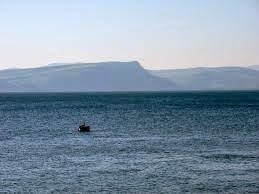 We were sailing across the Sea of Galilee toward Capernaum. Off in the distance the guide pointed out the mountains toward the north by west. They were called the Horns of Hittim. They have figured in history a hundred times because of their geography. On the 4th of July in 1187, for instance, Saladin the Magnificent decisively defeated the Crusaders putting an end to the Crusader’s Kingdom in the Holy Land. But what fascinated me was that for Jesus to go from Nazareth to Capernaum to set up headquarters, he would have had to go through the Horns of Hittim. It was an area overrun by jackals, marauders and robbers. And if Jesus came that way, he would in all likelihood, have been set upon by this band of hoodlums. He was in all likelihood robbed and beaten and left to die. This is all conjecture, but there is a plausibility to it. A priest and a levite may have come by, but it would have been “ritually unclean” for them to touch him. They walked by on the other side of the road. But then perhaps, a Samaritan happened by and even though it is clear that Samaritans and Jews are utterly untouchable to one another, this Samaritan bandaged up his wounds, ministered to him, brought him to a nearby inn, and out of his own pocket provided for him until his recovery allowed Jesus to continue on his way. What if the Parable of the Good Samaritan were an autobiographical account of a reality show moment in the life of Jesus. Does this explain how is it that Jesus has such a place in his heart for the Samaritans? Does this account for how Jesus came to understand that there are no outsiders and no outcasts in the Kingdom of God and in the Kingdom of Heaven. We know that the Samaritans and the Jews have nothing to do with each other. They consider each other “untouchable”. The name “Samaritan” literally means “The guardians of the Law and the Torah”. The Samaritans use a variant of Hebrew that predates the Hebrew used after the Babylonian exile. The spiritual one-upmanship of the two may seem foolish to us perhaps, but not to them. It was dead serious. People often take their religious differences to deadly extremes. 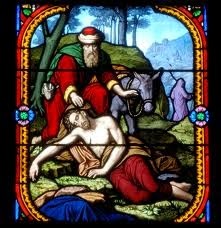 Thus the parable of the Good Samaritan strikes me as all the more remarkable and especially if you consider it as perhaps a reality in the life of our Lord. And too, it makes this moment in the Gospel passage we read today all the more remarkable. Here we are at the well at the noon of the day, a time when respectable women are home with their families. The time to get water is at the break of the day, when it is cooler. What is she doing at the well? What is he doing at the well? The event raises the eyebrows of the disciples and other respectable townsfolk. Now the woman is intrigued. “Tell me where I might get this living water”. So the conversation continues. “The kind of water I will give you will become a living spring welling up within you, in fact gushing up within you toward eternal and everlasting life.” Another intriguing statement. Quite reasonably, the woman says; “Yes, give me that water so I don’t have to come here every day and lug a heavy load on my shoulder in the heat of the day.” She doesn’t yet get it. In Jesus' heart there are all these untouchables; Jews, Samaritans, and the woman at the well at the noon of the day. Jesus learned early on that there was no such thing as an untouchable. He cured the lame, he gave sight to the blind, he called the tax collector, and the fishermen, even the leper was the beloved of God to Jesus. The poor and the rich alike, those who both hunger and thirst for God belong to the fold in Christ’s flock. Perhaps Jesus even said so. Perhaps she began to have an inkling as to what Jesus was driving at. You’re getting warmer now, here is the water that wells up within us to eternal life. In our own wilderness we may complain to the Moses in our midst; how are we to make do in this wasteland? Where and how are we to make provision for our lives out here in the nothingness of the present? How can we get water out of a rock? Well, as a matter of fact you can. If you know where to strike the rock, you will discover that there is plenty of water underneath the limestone layer in the dessert, which, by the way there is. Strike the rock in the crevice in just the right spot and yes, it is a well known fact, you can get water out of a stone. What now of this particular Samaritan woman, married five times and now the one she is with is not her husband, and here she is at the well at the noon of the day with this man Jesus. Interesting undertones going on in this story. 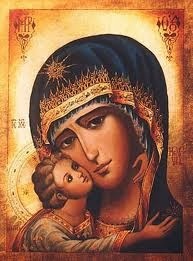 But Jesus keeps his focus on eternal life for this woman and for the rest of us looking on. Shameful and scornful sin was no barrier to eternal life for Jesus. Forgiveness is that well gushing up to eternal life. He fixes his gaze on the water that wells up from within. That’s the kind of water she really thirsts for. It is the only water that will quench her thirst for life. How can she love a man? How can she find a man who will love her? How can we break through all the barriers that separate us from one another, find forgiveness, and reconciliation? How can we come to the eternal within, between, and among us? 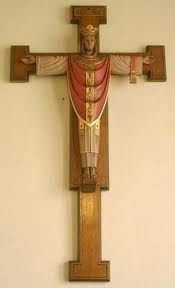 This is what Jesus points us to. There is a way. And to tell you the truth, Jesus is the way and the truth and the life. 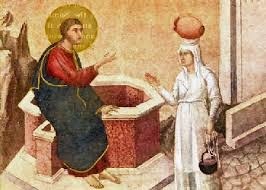 Well, like I say, the disciples were astonished at seeing Jesus talking with this woman at the well. By now, he probably did have a drink. I wouldn’t be one bit surprised if he drank from her bucket and her ladle right there in front of God and everybody. As I say, they were astonished. So then they encouraged him to have a bite to eat. But by now Jesus had their attention. This business of the untouchable quality of Jews and Samaritans and women who come to a well at noontime, poor, lame, blind folks, lepers and a host of other outcasts, brought Jesus and his disciples to this critical teaching moment. So then he goes on to say that the kingdom of heaven is not a harvest somewhere in the future. Look around you he says. Here it is here and now, among these Samaritan townsfolk and this Samaritan woman. In the meantime the woman at the well goes to the village and tells them all about Jesus and about how he was a great prophet who had come into their midst, and about how he knew all about her and all her secret lives, and still he loved her. He forgave her. 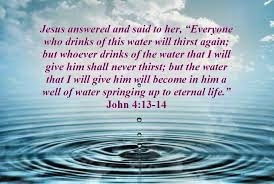 He gave her water to drink welling up within her to eternal life. Yes, Jesus said, look around you. Here it is right here, right now. The villagers came to understand who this Jesus was. They believed him and began to see that he was not untouchable and neither were they. In fact, we are all children of God, the beloved of God, the redeemed of God. For Jesus this learning is a matter of life and death as it was the day he or somebody he knew was set upon by robbers and left to die. The priest and the Levite walked by on the other side of the road but not the Samaritan. Look around you, Jesus said. Here it is. The kingdom of heaven is life a well gushing up within you. Labels: Breaking Barriers, One in Christ, Samaritan Woman, The Good Samaritan. There will be a parade in South Boston Monday and I will not be there. Neither will the Mayor of Boston. And one of the primary sponsors of the parade, the Boston Beer Company, maker of Sam Adams brand of brew, has withdrawn its support. This is all because the organizers of the parade have specifically excluded one particular group of people from marching in the parade. I do not think this would please Patrick of Ireland one bit. We do not know all that much about Patrick but what we do know is that he was sold into slavery by Irish slave traders when he was a young man. We know that he was not much of a Christian in his youth. His dad had been a deacon, but he was more or less “ho hum” about the faith. But there was something about being in slavery for six years in France that brought him to his knees. He had a vision of a ship one night that beckoned to him to come home. He escaped his master and after a series of minor miracles, walked two hundred miles to freedom and fast talked his way onto a ship bound for Britain. There he studied the faith of the church and again had a vision, some say of the Bishop of Rouen, a sainted fellow by the name of Victricius, and the vision invited him to Ireland and become the Apostle to the Celts. It was not an easy task for the foreign born Patrick, probably a Welshman or a Scot, to bring the Gospel to a stiff necked and stubborn lot which those Irish surely are, I’m here to tell you. But, he was a tireless builder of the church. Remember these Celtic Christians built their communities on the reality of human need and human suffering. As they built their monasteries their message was consistent; if someone you love is sick or dying, bring them to us and we will take care of them. If you are hungry, come to us and we will feed you. If you and your children want to learn, we are among the best schooled scholars in Europe, come here. If you are weary and dreary with life, come to us and we will cheer you with good brew, good stories, and much mirth. If you hunger for God, come to us, where you may be baptized and born anew to a living Gospel life, and live with Jesus. He was an extraordinary man of faith, and yes, I believe he did drive the snakes out of Erin. But the serpents that he drove away were not of the sort that crawled about on the ground but a more evil and pernicious sort. The snakes Patrick drove out of Ireland were the slave traders who worked under the military might of a man known by the name of Coroticus. 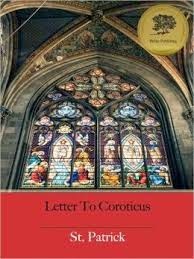 It is our good fortune to have Patrick’s letter to Coroticus to this day. We also have his so called “Confessions” or the story of how he came to Christ. He rid Ireland of the slave trade, but it is the way he did it that is extraordinary. He wrote an open letter to Coroticus and delivered copies of his letter to all his soldiers, informing him that, under his authority as Bishop of Ireland, he is excommunicated. Worse still, if any of his followers and soldiers did not repent and turn from their evil ways, they too would suffer the same fate. “I myself have composed and written these words with my own hand, so that they can be given and handed over, then sent swiftly to the soldiers of Coroticus. I am not addressing my own people, nor my fellow citizens, but those who are now become citizens of demons by reason of their evil works. They have chosen, by their hostile deeds, to live in death; and behave like apostates, bloody men who have steeped themselves in the blood of innocent Christians. The very same people I have begotten for God; their number beyond count, I myself confirmed them in Christ. “The very next day after my new converts, dressed all in white, were anointed with chrism, even as it was still gleaming upon their foreheads, they were cruelly cut down and killed by the swords of these same devilish men. “Because of this, let every God-fearing man mark well that to me they are outcasts: cast out also by Christ my God, whose ambassador I am. Patricides, they are, yes and fratricides, no better than ravening wolves devouring God's own people like a loaf of bread. Exactly as it says: "the wicked have scattered your law, 0 God," which in these latter days he had planted in Ireland with so much hope and goodness.” ~From the letter to Coroticus. We do not know exactly what happened then, but we do know that Patrick and the Christian Church fought valiantly against the slave trade in Ireland long before that became fashionable. This little sketch of Patrick’s life is seldom referenced. 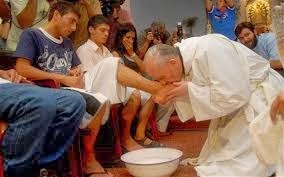 But it is important, because it seems to me that when Patrick baptized his thousands, I find it hard to believe that he set out to exclude anyone from the grace and mercy of the Gospel of Christ. As the words of John’s Gospel today make abundantly clear,"For God so loved the world that he gave his only Son, so that everyone who believes in him may not perish but may have eternal life. 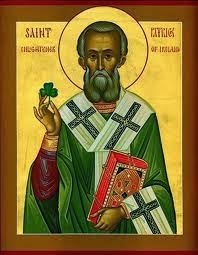 If Nicodemus wanted to know what it would take to gain eternal life, if Coroticus, and his soldiers may have wanted to know, or if the organizers of the St. Patrick’s Day parade or if you and I may want to know, we must be born anew, born again in the Spirit of the Compassionate heart of Christ. This is the same Christ who knew no outcasts, for to him all were welcome within his saving embrace. The blind, the lame, the poor, alike as well as the healthy and the wealthy, for to Jesus we are all one people in God. No parade for me, tomorrow. Perhaps instead, “I will lift up mine eyes unto the hills from when my help cometh.” ~Psalm 121. I am a member of the Mount Washington Weather Observatory. I often check the MWOB website, what wonderful photographs. How I love to check the weather conditions up on the mountain. No matter how bad the weather is here, it is worse up there. On Thursday afternoon at 4pm, it was chilly, cold and windy here, oh, but up on the Mountain it was -13F with sustained winds out of the NW at 70mph, rendering a wind chill of -51F. Now that’s cold. The people native to the area called Mount Washington Agiocochook, or "Home of the Great Spirit. It is born into us to look up into the hills, for it is from the heights that the Great Spirit of God is made known to us. We look up! We live by the Faith of Abraham. When God said to Abraham, look up to the stars of heaven and count them if you can, so shall your descendants be, or count the grains of sand upon the earth if you can, all the nations on earth shall be blessed in you. God did not say...make sure you pick out the black ones, or the poor ones, or the female ones, or the LGBTQ ones. 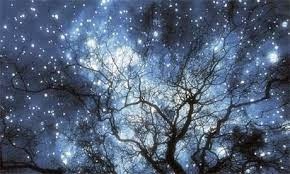 God said, look to the stars of heaven and stand in awe and wonder. Look and count them if you will. They are all God’s creation, so are we. Many years ago, in the wake of the great migration during the potato famine there were those who posted signs in their workplace windows that said; “Irish need not apply”, for shame. Now the organizers of tomorrow’s parade have placed a figurative sign in South Boston’s window that says “Some Irish need not apply, you know who”, for shame! "The Kingdom of God is like a mustard seed, a pearl of great price, a coin, a lost sheep." It is here and now in the forgiveness, love, and compassion of God for us and that which we have for others. The Kingdom of God is right here, right now. Waken to its joy. Waken to its abundant life. Waken to its reconciling power. I pray for the kingdom of heaven within. Amen. Labels: Where is God? The Kingdom of God is at hand. 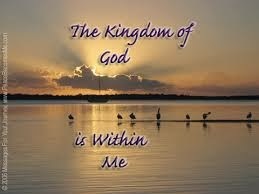 The Kingdom of God is within. Years and years ago there was a young man in a congregation I served in Euclid, Ohio. He fought a battle with his own inner demons and got himself into one scrape after another first at school, then with the police and the courts, and then with drugs, and all along with his family and especially his mom. I never gave up on him, and often pleaded his case. I spoke up for him, and then when we had time together I would gently but firmly “box his ears”. Finally the day came for him to leave home and leave Ohio. When he did, I wrote him a brief note wishing him well, and telling him that he would always be in my prayers. Some years later, I went to another church this time in West Virginia. The young man showed up at my installation service there and came up to me at the coffee hour. With great care, he opened his wallet and there, folded, worn, stained and tattered was the note I had written him years before. He simply nodded to me and said; “I want you to know how much your prayers have meant to me over the years.” I was humbled to know that one simple, hastily dashed off note, and those prayers I did indeed offer on his behalf meant so much. Many of us wage a daily battle with our inner demons. 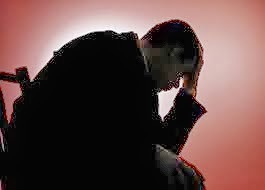 Mental illness of all sorts, depression, bi-polar affective disorder, and so on are epidemic in an anxious age. My spiritual director refers to depression as the common cold of the human spirit. 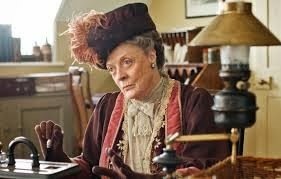 She also likes to point out that; “It is time we put the FUN back into dysfunctional”. 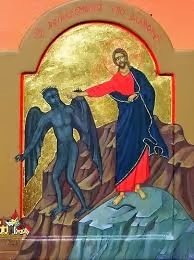 So now, as we come to Lent we recognize that there is the temptation to surrender to these inner demons. This battle may deflect our attention from God. After all that’s the whole purpose of evil, to hide the good and the God from us. After all the obvious alternative is to surrender to evil is the surrender to the Will and Grace of God. As Paul puts it in his letter to the Christians in Ephesus, “Glory to God whose power, working in us, can do infinitely more than we can ask or imagine: Glory to him from generation to generation in the Church, and in Christ Jesus for ever and ever. Amen. ~Ephesians 3:20,21. It is after all, a matter of orientation; shall we look to evil or shall we look to God? When we come to the matter of temptation, there is not only the obvious struggle between between good and bad, there is also the battle of a more subtle kind, between two goods. For a congregation in the midst of a process of discernment, for instance, we are often confronted with a choice between two more more “good” candidates. The search and discernment process for a new bishop is likewise a choice among good people. The reference point in any discernment process is that resonating sense deep within that this is God’s choice among us. Here’s where the spiritual “rubber hits the road”. Discernment includes God in the process of selection. In the case of St. Paul’s Church, your discernment process is fast upon you. But the question is not who do you want to “hire” for your next priest. The question is more appropriately framed, “Who does God want us to call into this portion of Christ’s family?” No matter how professional we may wish to make the priesthood, it is not a job as much as it is a way of life. The priesthood of the church is not merely held by one man or woman, it is held by the priesthood of all the faithful. ~I Peter 2:5. To be a priest in charge of any congregation means that we are all charged with the responsibility of providing leadership to a congregation. Yes, a salaried individual is brought into that family system and is expected to bring to it a professional capability to provide sound leadership. But the burden of caring about the place is something we all share in carrying. We live with it all the time. And not just the clergy, but if we are the family of God in this place, we are all charged with the joy and care of providing leadership in and on behalf of this church. We all share in that leadership. This brings us then to the inner demons Jesus faced. The subtle and crafty one led him into the wilderness, where Jesus could be alone with his thoughts. Now he faced three great questions within the depths of his soul. There came this voice; “Jesus, see all those hungry people out there? Why don’t you just tell these stones here to become bread? You’re hungry and so are they.” O how tempting. In the twinkling of an eye, the planet’s famine would be over. 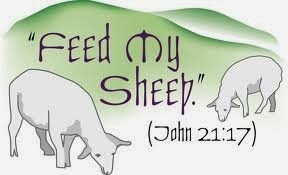 But Jesus replies, “Man does not live by bread alone but by every word that proceeds from the mouth of God.” Among those words are; “Feed my sheep!” This Jesus, tells Peter three times, after asking him, “Peter do you love me?” “I am the Bread of Life”. “I have come to bring good news to the poor.” “I was hungry and you fed me”. The word of generosity and sharing pervades the Gospel. We too live not just by bread, but by every word that comes from the mouth of God. To be sure, Jesus could snap his fingers and change stones into bread, but how much more of a miracle if his church fed millions on a daily basis and not just communion bread, but to transform poverty of both economic and spiritual sorts, and that’s what God has placed us here to do. Imagine a whole nation feeding the multitudes not just with food stamps or whatever system it might design. Imagine a nation putting all its poor to work so that inner city and rural youth would not have to turn to crime and to drugs but have the hope of their whole future ahead of them. Imagine a nation led by the generosity of God. God, is still waiting, because it takes more than a twinkling of an eye or the snapping of a finger to feed the hungry or bring hope to the poor. Then there was more; this same demon said, “Go ahead and prove it. Prove you’re God. Go ahead and jump off the pinnacle of the Temple and let’s see if the angels will indeed bear you up lest you dash your foot against a stone. Yes indeed, the devil can quote scripture. But even if he were dead and buried and rose from the dead again in plain sight of all, we won’t believe. Surely no silly trick like a leap from a Cathedral Tower with CNN and Fox looking on, would persuade a skeptical age of God’s being within us. It will take much more than a sign. It will take the courage of a long dry spell in the wilderness dealing with our own demons for us finally to remember to turn to God. 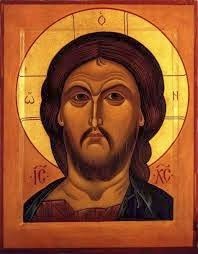 “Don’t tempt me!” Jesus said, “Don’t put me to the test.” It is the way Jesus looks at us that asks a deeper question, “It is you who will be tested. If you want to prove something, prove you exist. And do something to show you care about God’s children and your own brothers and sisters.” The proof of God’s existence has nothing to do with a sign or a wonder, it has to do with that long and honest journey within the deepest corners of our own hearts where we may know the truth about ourselves. Then finally the crafty one led him up on a high mountain. Here upon a mountain top, you will remember he had been “Transfigured” in the story we heard just last week. It was a lofty experience. This week in a moment of time he saw all the kingdoms of the earth: the Roman legions and the Zealots of his own day who plotted and schemed the overthrow of the Empire. 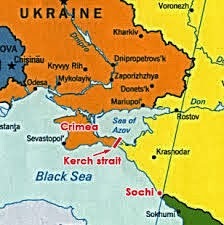 He saw The United States, the Ukraine and Vladimir Putin and the Crimea. He could have taken power into his own hands then and there to spare us from all the bloodshed that ensuing centuries were destined to see. “Get thee hence Satan! Get out of my sight.” And he Evil One departed until an opportune time. It must have been tempting. Take power and establish dominion. But such was not the choice of this God, this Jesus. For him the power would be established in weakness, vulnerability, compassion and love. He would give his life for others and submit himself to the Powers and Principalities and let them have their way with him. And yes he was dead and yes he was buried. And if that were the end of the story we wouldn’t be here today to talk about the Temptations of Jesus. If that had been the end of the story, that is exactly where it would end and we would never have heard another peep out of him. But as we all know Jesus’ kingdom is not of this world. It is rather a kingdom of the human heart and the heart of God. That kingdom has no end, and there are no emperors, no kings, no presidents, no potentates, but God alone. 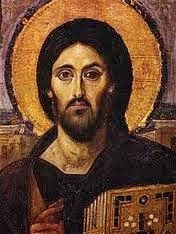 It is Christ the King who rules now in our hearts. In his baptism and in our own, we learn to die with him in order that we may rise with him. We learn of the power of God in this Jesus. His love, his forgiveness, his compassion, his justice, and his reconciling power triumph over all powers of this world. We learn of his power as we feed his poor. We learn of his power as we go to the wilderness of our own hearts and discover God’s love there for us and all God’s children. We learn of his power as we look to his dying form on the cross, knowing that Christ the Kings reigns forever at the Right Hand of God the Father. 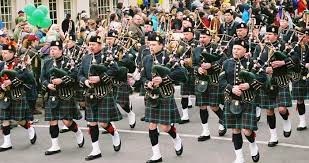 By now many of you will have heard that the organizers of the St. Patrick's Day Parade in Boston have banned gay folks from marching "openly" in the event. I'm not sure if this would please Patrick one bit. When he brought the Irish nation to Christ, I do not remember any reference to the LGBTQ community as being "excluded" specifically from the Grace that Christ offers in God's salvation plan. To the contrary we know quite clearly that in St. Paul's theological approach, in our Baptism we become one with each other and with Christ. "There is no longer Jew or Greek, there is no longer slave or free, there is no longer male and female; for all of you are one in Christ Jesus." ~Galatians 3:28. Obviously we're not just talking about Jews and Greeks alone, but all races and all ethnicities. Likewise we're not just talking about slave and free, we're talking about all folks no matter where they find themselves on the ladder of social class. It follows too that we are not talking here just about male and female, but folks of every orientation under heaven. When Paul says we are one in Christ, he did not exclude any one particular group. We know that from creation we are made exactly the way we are in the image of God and that we are "born that way". If you want to argue with me about Romans 1 or Leviticus, I'll take that one on too. But not now. Because now it seems fitting to offer a prayer to the Compassionate heart of Christ. Perhaps there will be those Christian leaders at all levels whose hearts will be likewise moved to join me in this prayer and perhaps even in some action on behalf of those all too used to being marginalized by the Church and her representatives. Perhaps the church's Bishops or Cardinals maybe even Francis himself, may hear our prayer and join us in asking for the Love of Christ to reach out to all. God of Compassion and Love, you have made us the way we are, and sent Jesus to us to embrace us in ever widening circles of inclusion, hear our prayer on behalf of all who have been excluded from your invitation to march with those who love the Saints, and especially Patrick whose example brought the Emerald Isle to the knowledge and love of God. Turn the hearts of those who would turn us aside from the love of God and bring us at last to the one triumphant march of Glory you intend for all people, through Jesus Christ our Lord we pray. Amen. May God prosper our prayers, and may God inspire our actions. It is time for me to rethink my website and blog. You can follow the link for my website and see what is there now. But the question my consultant raised was this; "How do you want people to feel?" As good a question as that is, I found myself rephrasing it; "How does God want us to feel?" She, my consultant, asked me to come up with three words. I came up with four. After all, one of the strongest forms in all architecture is the pyramid. Therefore I find myself thinking about a foursquare Gospel. There are four Gospels. So these are the words I propose as Fr Paul's Foursquare Gospel. God wants you to feel forgiven. And God wants you to forgive. Here is a picture of the kind of forgiveness God has in mind. God wants you to feel loved. And God wants you to love. Here is a picture of the kind of love God has in mind. God wants you to feel compassion. God wants you to have compassion. Since the word compassion in Greek has within it the notion of the womb, I think of such a picture as this for the kind of compassion God wants you to feel and wants you to share. I love that picture. See the love she has for him? If you see that, you can see the compassion she has for us as well. And perhaps you can see the compassion God wants you to share with the world. Finally, I see God seeking reconciliation among us. Jesus reconciled us to God. God and Jesus seek to reconcile us to one another. 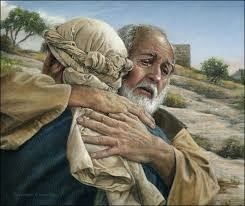 I think of "The Parable of the Prodigal Son", or probably more aptly titled, "The Parable of the Compassionate Father". How difficult a thing it is for the Father to make both sons see how generous the Father's love is. You can almost feel the love of the Father for his son. But still there is the older brother who resents the party the father gives for his son. The work of reconciliation goes on and on. These great words set the scene for what I see as the stage for sacred history. We're all under their authority. First the authority that God sets in our hearts for ourselves. We are to love ourselves as we'll as others. We are to love others as we do ourselves. Here is a lifetime's work for us. Then there is my mission statement. I believe we are called to be a "House of Prayer for ALL People". ALL means all. Not just some. Throughout my lifetime, in just one short lifetime, the search for justice and peace has included civil rights, gender equality, and now we seek a way to include within the ever widening circles of compassion, the whole range of folks within the entire LGBTQ community. All of this is challenging work. 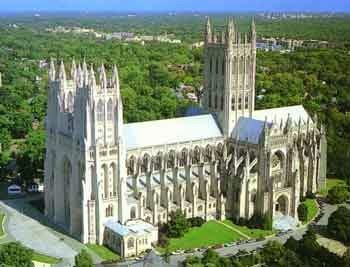 But from childhood, I have remembered the words above the great west doors of the national cathedral in Washington, "A House of Prayer for ALL People". Here is a picture of that noble edifice. Here is a picture of what I have in mind; a place where all people without regard to race, ethnicity, class, gender or orientation can find a home with genuine warmth; a place where we can know and feel what it means to be forgiven, loved, where compassion is at the heart of things and where the work of reconciliation is central to its mission. This is how I seek to rebuild my website. Stay tuned. We seek to relaunch by May Day. This should be fun. Thanks to you all for your encouragement throughout my ministry. It is a ministry we all share. I've been doing it for only 41 years. The work has been going on for thousands of years by all the host of heaven and earth. Grace and Peace be to you all. Our hope for Spring is not in yet another dreary weather forecast for later today and tomorrow. Certainly not. We are so done with this winter. As the old saying goes, “Put a fork in me, I’m done!”. 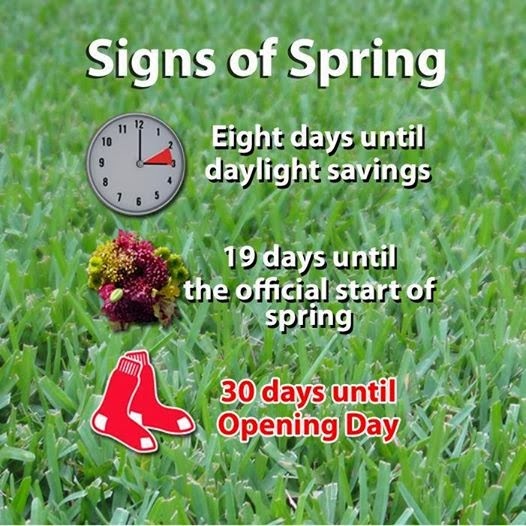 Our hope for Spring is in the signs and portents of the heavens; Daylight Saving Time begins in seven days, the official start of Spring begins in only 18 days, and opening day for the Red Sox is only 29 days away! Cheer up, yes, there is hope! Of all the doctrines of the Christian Church none is more central to our faith in an age of epidemic depression and anxiety, than the doctrine of the Christian Hope. 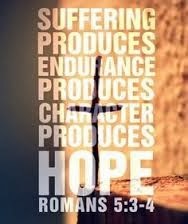 In point of fact of the Five Mighty Acts of God, the Christian Hope is the final and ultimate hope we have in God. Let us review the material class; what are the Five Mighty Acts of God as described in our Catechism? Imagine living with such a confidence. Imagine living a Transfigured life, born anew in the living hope of an abundant life with the Risen Christ, in such a way that all our relationships are transfigured by the indwelling power of the Holy Spirit. But the present is very much with us. Things did not work out as we had hoped during the Arab Spring in Egypt. Neither are they working out in the Ukraine and the Crimean Peninsula as we had hoped. We are holding our breath now as Vladimir Putin and the Russian parliament authorize the use of military force in Crimea. The President of the United States has warned the Russians of serious consequences if they continue to raise tensions in the region. There are days when the search for hope, especially the hope of peace is but a very faint glimmer in a darksome sky. Events have a power of their own, and our efforts seem so feeble and human in the face of history. Whether it is in the matter of international relations, or those more close to home, or even within our own internal spirits, the search for hope can seem at time like a search for a needle in a haystack. Enter Jesus Christ now onto the stage of sacred history. 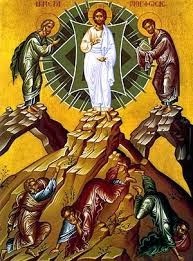 Enter now the Feast Day of the Transfiguration. In the Christian Calendar in Anglicanism, it is recognized for its importance on both August sixth and on the Sunday next before Ash Wednesday. The event is described in today’s Gospel. Six days previous, Jesus and his disciples were at Caesarea Philippi far to the north of Israel in what we now know as the Golan Heights. I was amazed when I visited the area during my first Pilgrimage to the Holy Land. There at one of the three sources of the Jordan River was the Temple of Pan. Pan was a very popular Greek god in the region. He was god of the wild, of shepherds and flocks, of nature and mountain wilds, rustic music and a companion to the nymphs. Pan was a very popular god indeed. The recognition of Jesus as the Messiah did not and does not come from a theological treatise or debate, or of one convincing argument or another. It comes from a direct encounter with the living Christ. It comes from deep within and in the presence of God made flesh and blood in our midst. And it is still the case that our faith is founded more firmly on who we are and what we do, than on what we say or what we think. It is in the doing of our faith that we make a difference in our own lives as well as in the lives of others. When we come to our Eucharist today, please do not miss the joy and the mystery of Christ made flesh and blood to us in the bread and wine we share. It was then that Jesus took his disciples up a high mountain, probably nearby Mount Hermon, 9,000 feet high. I’ve seen that mountain. It is an impressive sight. It is there that Jesus is transfigured in their sight, made whiter than any bleaching agent on earth could make him we’re told, a brilliant and radiant source Light, like that which is spoken of in John’s Gospel. “I am the Light of the world”. Alongside Jesus there appear Moses and Elijah; representing the Law and the Prophets of course. These great figures of sacred history teach us again and again of the influence of God’s action in history. Moses brings us from slavery to freedom and God’s Law becomes our Grace to guide us into all truth, and it is this Law Jesus is said to fulfill. Further into sacred history, the Prophets came to deliver all God’s people into Justice, and to warn us that our tendency will always be to fall back again and again into relationships of oppression and oppressed. 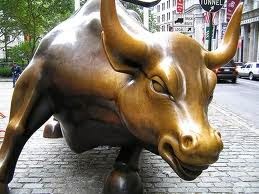 We will seek other gods whether Pan or or the Golden Calf or the Bronze Bull on Wall Street. Make no mistake, many worship the “Almighty Dollar”, “The bottom Line” and no matter how far the divide separates the haves from the have nots, many there are who will cling to the gods we make on our own. The Law and the Prophets warn us again and again that such a posture will doom a nation. Moses and Elijah appear and the disciples suggest they build three “booths” or what we might call “lean to’s”. After all, it gets cold and windy high up upon a mountain like that. Jesus is Transfigured, in the Greek he undergoes a “metamorphosis”. He is entirely changed, much like he was at his baptism, and again much like he will be in his death and resurrection. 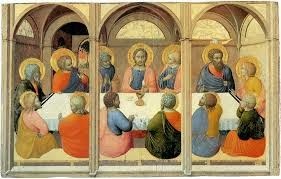 The disciples thought “lean to’s” might help capture the moment. But they were in for a grander bargain by far than a moment or two with Moses, Elijah, and Jesus. Now they and we live a lifetime with him, in him and through him. The bonds of sin and death are broken. We are entirely changed in our baptism, our transfiguration, and indeed in our death and resurrection. Thus we live with confidence in the knowledge of a reasonable and holy in the joyful expectation of eternal life with all those we love both in this life and in the life to come. Yes. Confidence. Hope. Eternal Life. These great words given to us by the power of God in the Person of Jesus and the indwelling of the Holy Spirit give us the confidence to live with enduring confidence and hope. I suppose those of a lesser mettle would find such an assessment of life to be discouraging, but not when lived by one with a sense of backbone and character. The confidence and the hope with with Jesus lived, or any number of those we look up to and there are many, it is their confidence and hope that encourage us. In the words of the Apostle Paul, we have a more theological take on the notion, “We also boast in our sufferings, knowing that suffering produces endurance, and endurance produces character, and character produces hope, and hope does not disappoint us, because God’s love has been poured into our hearts through the Holy Spirit that has been given to us.” It is this that keeps up going. Yes, be of good cheer! There is hope!